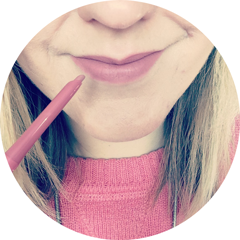 I love coming across new brands and products, especially when they use natural ingredients. Faith in Nature is a British brand based in Lancashire, producing a range of hair, body, skin and home care products. These products do not contain SLS, SLES, Parabens, synthetic colourings or fragrances, artificial preservatives or genetically modified ingredients and are not tested on animals. 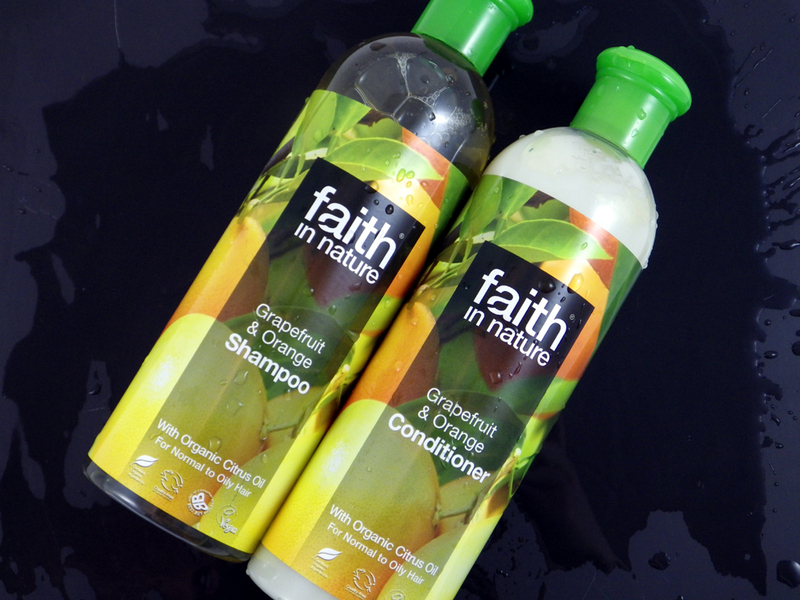 I've recently been using Faith in Nature's Grapefruit and Orange Shampoo and Conditioner for normal to oily hair. I used to wash my hair every other day, but in the last month I've been extending this by a day, so have had to cope with extra oiliness in the process. This duo promise to cleanse and condition with organic Citrus Oil, Sunflower Oil and Chamomile Flower Extract, whilst providing an uplifting scent. The bottles are 400ml in size, costing a very reasonable £5.50 each. The Faith in Nature Grapefruit and Orange Shampoo has a fairly thin, gel formula, but lathers up brilliantly - if I didn't know otherwise, I wouldn't have said it was SLS free. It cleanses my hair gently but effectively. The Grapefruit and Orange Conditioner has a creamy, medium consistency, which is enough to nourish the ends after cleansing. Unlike most natural shampoos and conditioners I've tried, Faith in Nature's do not leave my hair extra knotty or rough to the touch. The end result is smooth and I would even go as far to say silky locks, that have been purified and refreshed without being stripped. I adore the scent too - it's a real zingy punch of grapefruit, which is so invigorating on a sleepy morning. All in all the Grapefruit and Orange Shampoo and Conditioner are a fantastic duo, that I'd really recommend for oily hair based on my experience. They're possibly the best natural shampoo and conditioner I've tried to date and are really affordable too. They can be purchased from Faith in Nature here. Have you tried any products from Faith in Nature? Are there any other natural haircare products you'd recommend trying? P.S. This post contains PR samples. This does not affect my opinion of the product. I'd love to know how those "silky locks" look and feel. Thanks for this post!